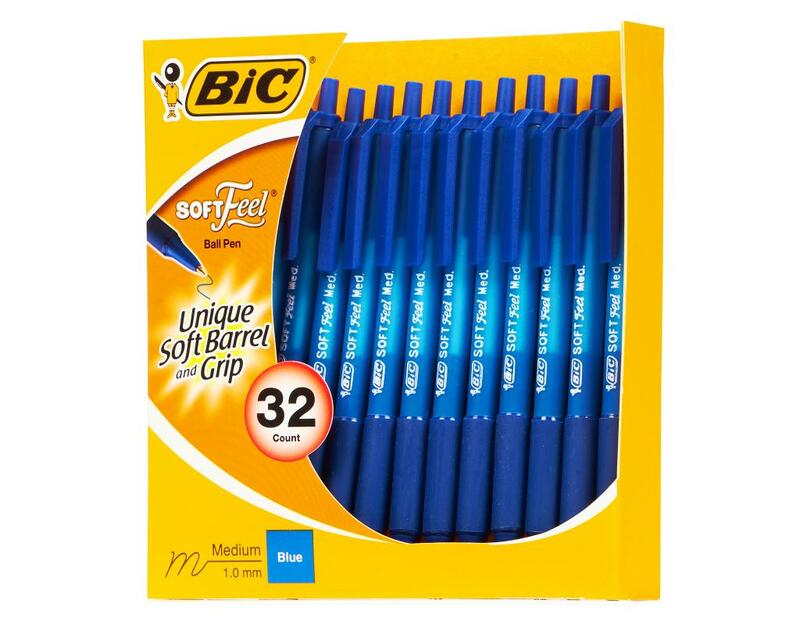 Comfort in a Stic Pen. 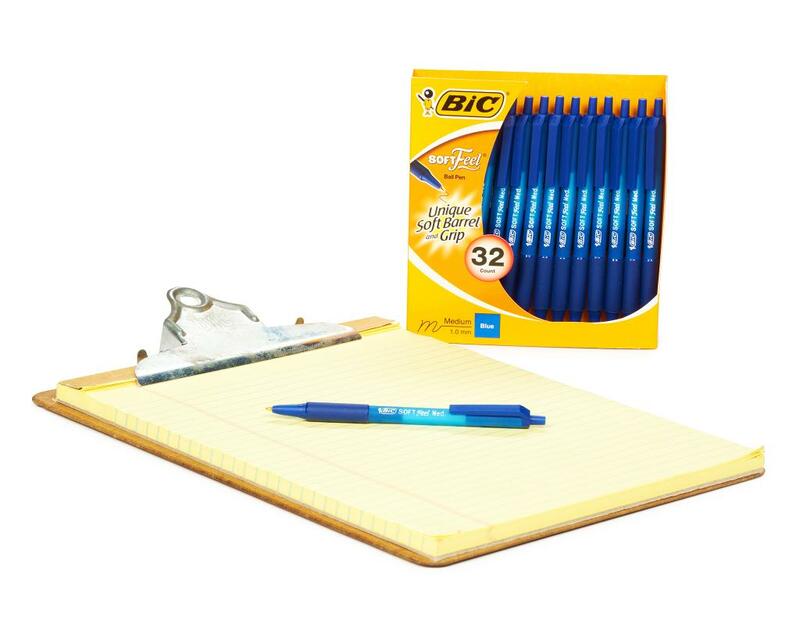 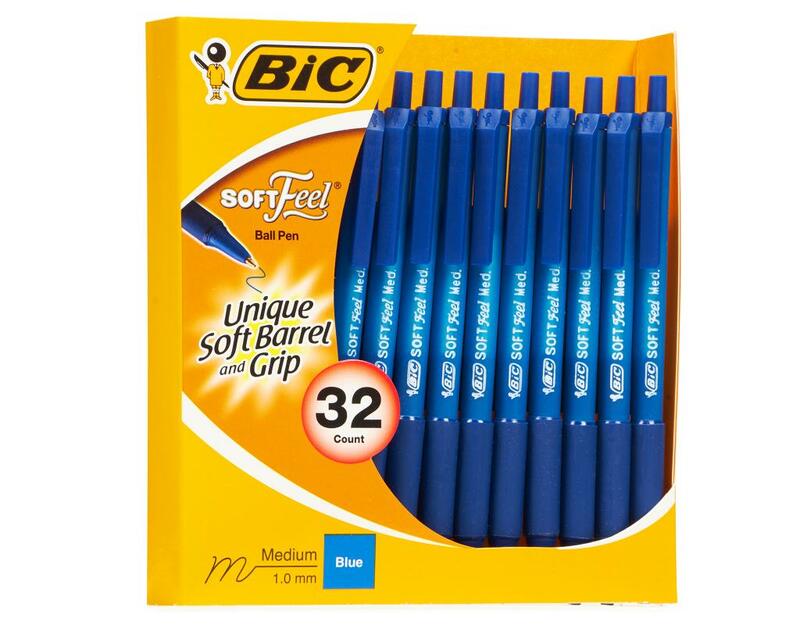 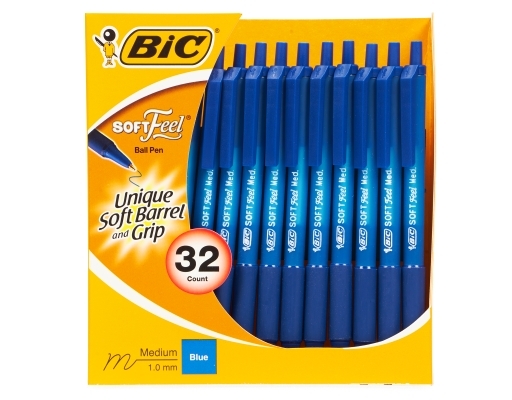 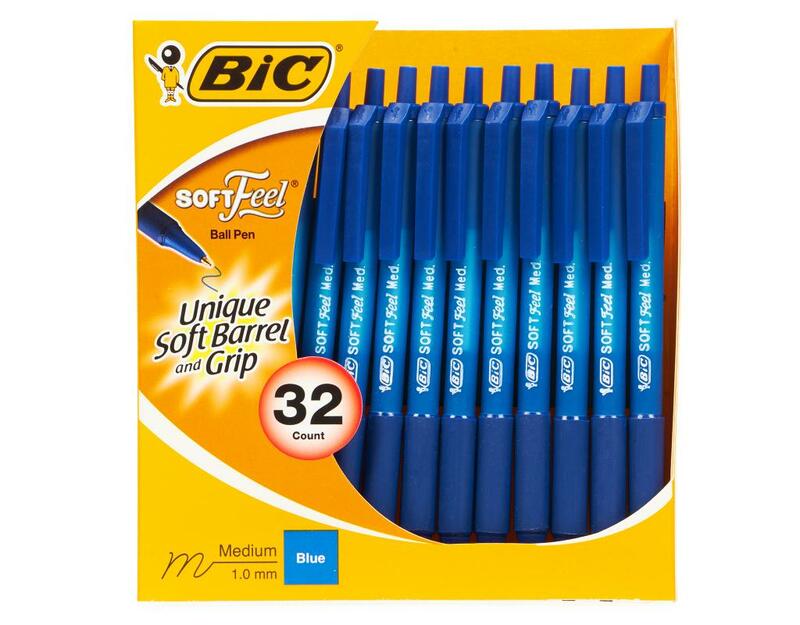 BIC SoftFeel pens feature a unique soft barrel and grip. 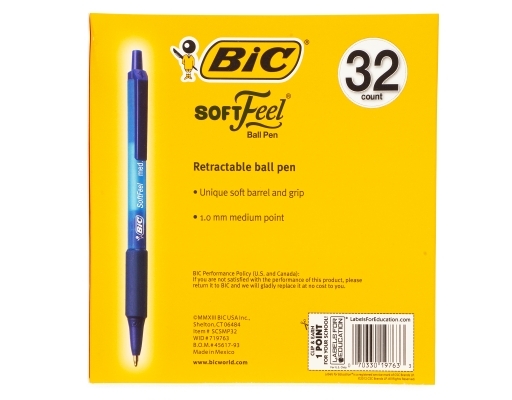 The rubberized pen barrel provides great non-slip grip for better precision and control. For additional cushioned writing comfort, a special grooved finger grip area fits comfortably in your hand, requiring less pressure to grip. 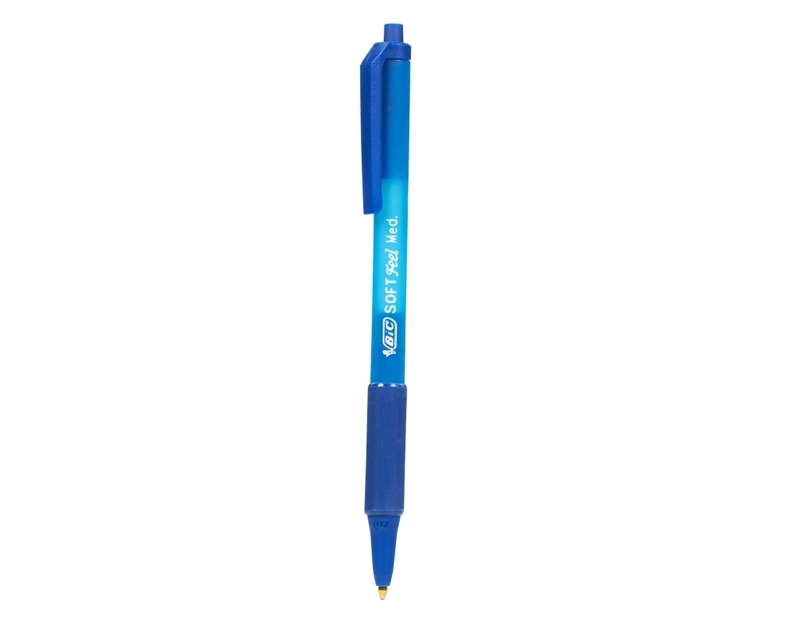 • Cap and barrel color indicate ink color.